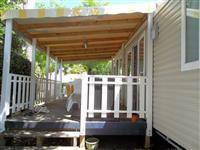 Mobile home 2 bedrooms of the brand IRM LOGGIA year 2006 with a covered terrace. 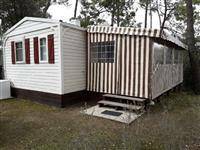 Bathroom with a shower, sink, separated toilet. 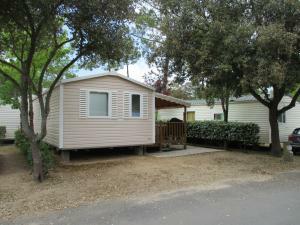 Kitchen with sink, cooking hub, fridge, storage. 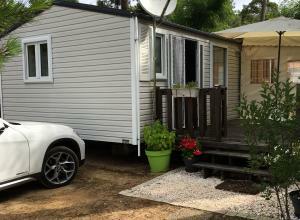 Sold with dish, vacuum cleaner, electric barbecue and television. 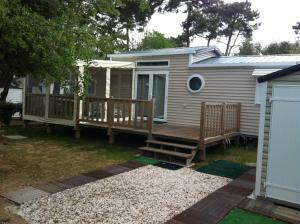 Mobile home 3 bedrooms of the brand IRM Super Titania, year 2005 with semi-covered terrace of 3mx3m and gate. 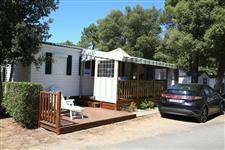 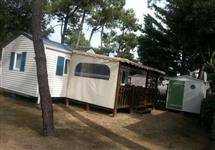 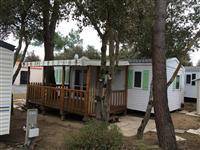 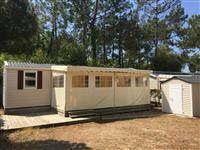 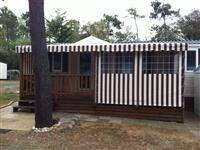 Mobile home 2 bedrooms of the brand IRM Riviera Tropical, year 2010 – covered terrace of 6mx3m and outside terrace with a garden shed. 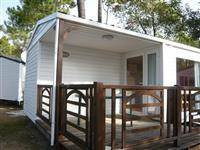 Mobile home 2 bedrooms of the brand IRM Luxe Super TItania, year 2006 with covered and closed terrace of 6mx2.50m – Excellent condition, sold with garden shed, garden furnitures and kitchen equipments. 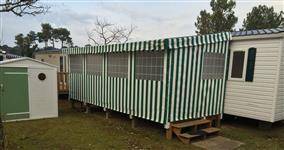 Excellent condition, sold with garden shed, garden furnitures and kitchen equipments. 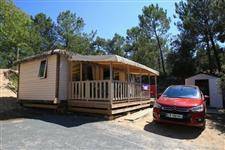 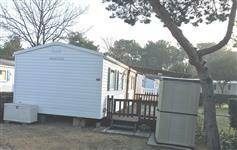 Mobile home 2 bedrooms,of the brand IRM Galaxy, year 2014 – washing machine, dishwasher, barbecue, cabanon, gas safe – covered and closed terrace of 6m – Excellent condition. 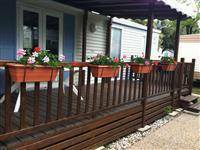 Mobile home 2 bedrooms, 40m² – 2 bathrooms, of the brand IRM – year 2008 with a covered and closed terrace – Very good condition with garden shelters, garden furniture and equipped kitchen. 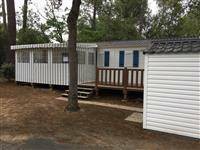 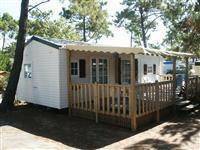 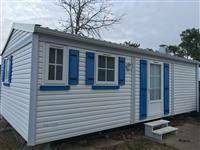 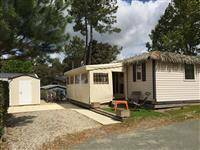 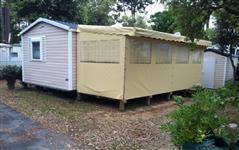 Mobile home 3 bedrooms – of the brand IRM Super Constellation- year 2007 with a covered and closed terrace, dishwasher and washing machine – Good condition.